As the CRPF celebrates 75 years of its commissioning, I feel privileged to have received an opportunity to add tune to the beautifully penned words by Javed Akhtar saab. 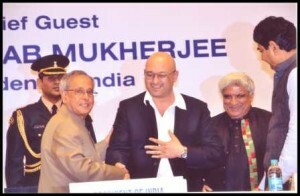 This is the third time in a row that Javed saab and me have collaborated together to work on an anthem, the earlier works being an anthem for the Indian Military Academy (IMA) and the Central Industrial Security Force ( CISF)…. 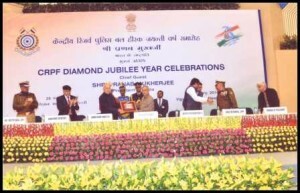 The CRPF composition was dedicated to the force and the nation by our President, Shri Pranab Mukherjee in New Delhi. Speaking on the occasion, the President spoke of the threats to India’s security and sovereignty from various forces and hailed the commendable role of the CRPF in ensuring the safety and security of India and its citizens. 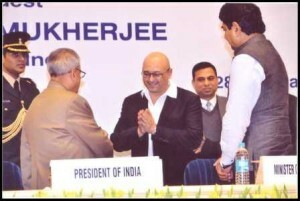 It was a proud moment when the President expressed his gratitude to Javed saab and me, for creating an anthem befitting the valour and spirit of the CRPF The anthem has two versions, one lyrical and the other a marching tune and has been sung by noted play back singer Javed Ali . The composition also has a version sung by a chorus. The anthem is set to lyrics that are simple ,yet extremely emotive and a tune that will inspire and encourage the soldiers to be the best they can for the nation.